Our commitment to our patients is to provide them with the very best dental care in a kind and gentle environment. Our goal at McKenzie River Dental is to educate everyone to their specific dental needs and to proceed with treatment in such a way as to obtain optimum oral health for everyone at a reasonable cost. The cost of treatment depends on each person’s dental needs and treatment choices. After a comprehensive exam, we will present our recommendations as well as discuss alternative treatment options so you can make an informed decision. When requested, we will present a treatment plan complete with fees before treatment is started. While we want to help you receive the dental care you need, we know financial information is an important part of decision making. At McKenzie River Dental, your Springfield Oregon family dentist, we work hard to make dental care affordable and to help you take full advantage of your insurance benefits. Prior to your appointment, please call with your insurance information, and we can verify your coverage. The patient portion is due at the time of service. We offer a 5% discount no insurance cash payments. We accept Visa, Mastercard, and Discover. The patient portion is due at the time of service. If full payment is made at the onset of treatment, we will offer a 5% savings on uninsured treatment when paid with cash or check. This will not apply to accounts that have an existing balance. For your convenience, we accept payment by Visa, MasterCard and Discover. Our office will work with you to assure a financial arrangement that is as reasonable as possible. 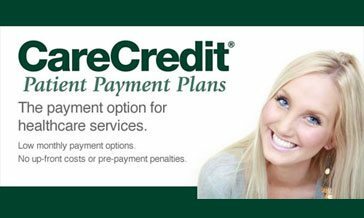 We accept most major dental insurance plans, including but not limited to Delta Dental, Moda, Washington Dental Service, Met Life, Regence Blue Cross Blue Shield, Pacific Source, and Aetna. We recommend you check with your individual insurance provider to make sure that you are able to see the dentist of your choice. There are some plans that require you to go to a specific clinic or network of providers with whom we are not associated. If you have dental insurance, we are happy to assist you in receiving your maximum allowable benefits. Professional care is provided to you, our patient, and not to an insurance company. Thus, the insurance is responsible to the patient and the patients are responsible to the doctor. We will help in every way we can in filing your claim and handling insurance questions from our office on your behalf. When you schedule an appointment, we reserve that time especially for you. We understand that situations arise and you may need to reschedule. As a courtesy, we ask that you contact our office 48 hours in advance to change an appointment. You may be charged a $50 fee for missed appointments.